findcourses.co.uk is a search engine dedicated to corporate training and further education. Our goal is to help individuals and companies find relevant courses or providers for Professional Development training in the UK and abroad. As a company, findcourses.co.uk believes wholeheartedly in the value of excellent training and continuing professional development. Through our business we help not only training providers to market their services but also those seeking professional development to find the right training for their company or themselves. We work closely with HR and L&D departments and training buyers in Europe's biggest companies, helping them source the right training providers for in-house training and employee skills development training courses. For every course, we present relevant information such as content, prices, start dates. Users are able to request more information from the course organiser as well as apply for the courses directly online. findcourses.co.uk makes it easier for companies and professionals to find the right training by providing the UK’s most comprehensive course and training search services. This enables us to help Training Providers market their courses and increase their courses’ attendee numbers. Our site offers access to a clearly defined, attractive, and rapidly growing target audience. findcourses.co.uk is the UK arm of EMG – Educations Media Group, the market leader for education search worldwide, powering targeted search engines for everything from Undergrad, Postgrad and MBA programs to Professional Development and Corporate Training and Leisure Courses. EMG was established in 2001 and has quickly grown to be the world's leading search engine provider for education. The Group operates market and audience targeted search engines in 9 countries including Denmark, Finland, France, Germany, the Netherlands, Norway, Russia, Sweden, the UK and the US. In addition to this the group operates 2 global websites; Educations.com, which connects schools and students from around the world, and SearchMBA.com, which helps executives find MBA programs. At EMG, we are continuously investing in our search engines and to date have developed some of the most visited educational search engines internationally, attracting over 2 million visitors per month. The company is made up of experienced team players that share the company goal of helping people find the right training for their requirements, and currently employs about 140 people. EMG just celebrated its 16th birthday, and is excited about expanding into the Asian market during 2017. Alternatively you can find more detailed information about our team on the Contact page. EMG is proud to have been a finalist of the “EdTech Europe 20″ at the EdTech Europe Summit, held at London Business School annually. An award that recognises the Top 20 fastest growing and most innovative EdTech companies in Europe! 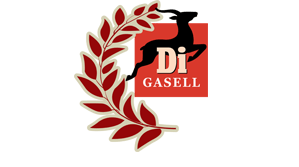 EMG has qualified and won the prestigious Dagens Industri Award "Gazelle Company". This independent review by Dagens Industri, means that we are one Sweden's fastest growing companies, and meet the strict criteria required to qualify as a Gazelle. This is an award that we are very happy to have won and very proud of. To be a Gazelle Company, you must prove to have an annual turnover at least £10 Million, at least 10 employees, the company's turnover must have at least doubled in the last three years, the company must show organic growth (not by acquisitions) and have positive finances. The findcourses.co.uk team helps hundreds of people every month to find the right courses or training programme. Whether it's tips on where to find a course on the site or courses in your area, our team have a wealth of experience to share. For individuals: our advisors are on hand to help point you in the right direction or suggest possible course alternative for your career goals and training needs. findcourses.co.uk works in cooperation with key partnerships to strengthen our position in the market and to ensure we attract the right target audience to our sites. We currently have partnerships with some of Europe's biggest newspapers to ensure we reach those looking for professional development training. In the UK, findcourses.co.uk cooperates with The Independent, and powers their online Training & Courses Guide. findcourses.co.uk can help you increase your exposure and recruit new participants for your courses and training. We help our visitors find you and provide the opportunity to increase course participation levels. We offer a no nonsense service which is defined by quality. With more than 15 years experience in the training industry we understand the challenges faced by course providers, and have developed our service to help you market your courses and reach the people currently looking for training. Our company goal is to help people find training – and we will help them find your training.